Comments: Spanish moss is an epiphytic plant that absorbs moisture and nutrients from the atmosphere and uses other plants only for support. It is environmentally sensitive and quite site specific about where it will grow. It thrives in certain micro-climates but is difficult to establish in other places where conditions are not favorable. 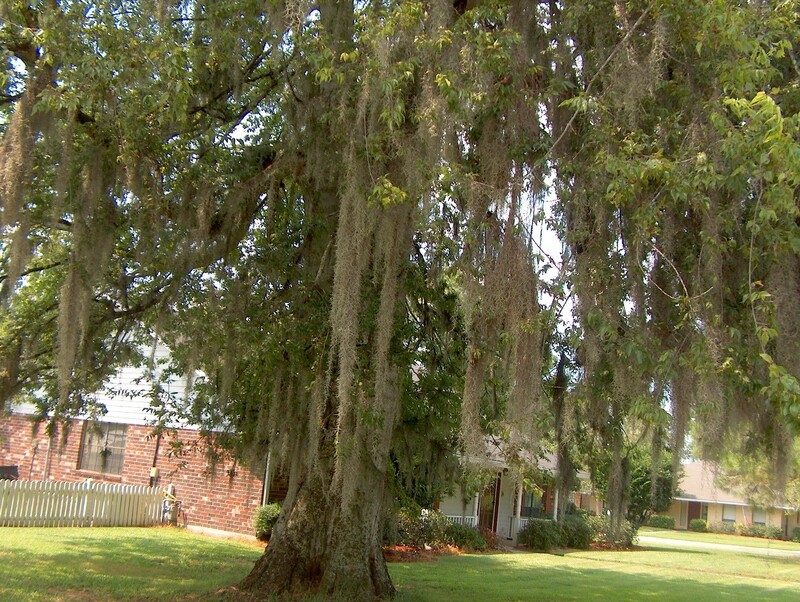 Spanish moss hangs in large silvery-gray festoons from trees and large shrubs.